The Electric GT Championship has announced it will open its doors to fans and enthusiasts for the inaugural “Day of Light” on November 18. Day of Light #1 will take place at the championship headquarters at Circuit Pau-Arnos and will offer fans and enthusiasts the opportunity to experience the thrills of the world’s first 100% electric production car racing series, before it the first race in 2018. 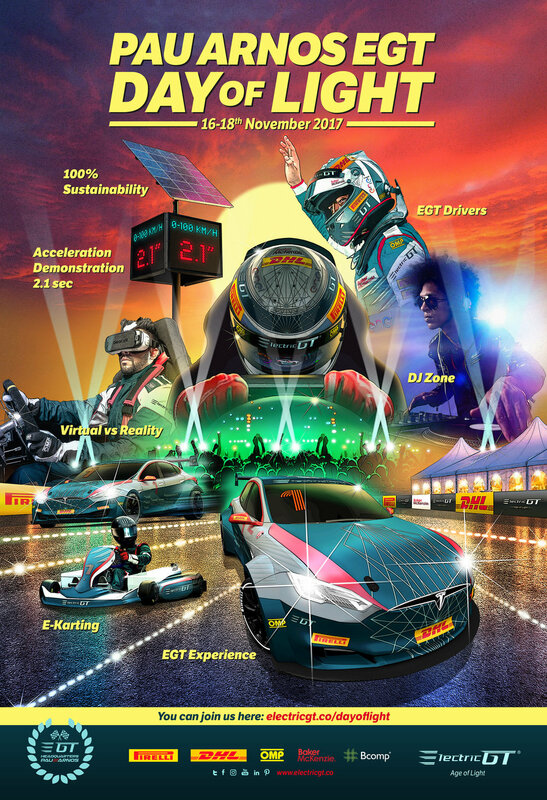 Registration for Day of Light #1 is free of charge and all spectators will have the opportunity to see the race-prepared all-electric EGT Tesla Model S on track as it continues with its development programme and also see EGT’s all-electric e-Kart and Virdual® racing simulator in action. EV race enthusiasts are also invited to take to the circuit themselves, joining the inaugural Day of Light EV track day. Entry to the EV track day will be €97 per all-electric vehicle, for a half day of track driving including insurance. Electric GT established its development hub at Circuit Pau-Arnos in April this year, as the South West of France looks to become an incubator for technology and clean energy. The ‘Pau E-Circuit’ is located close to the historical energy innovation centre of Pau-Lacq, while the Université de Pau et des Pays de l’ Adour (UPPA) is one of the leading campuses in France for energy and the environment. The Electric GT Championship will commence in mid-2018, and will bring a weekend-long celebration of electric innovation to racetracks around Europe. Each race weekend will include the main event, the Electric Production Car Series, which will see 20 international drivers, racing for 10 professional teams in the all-electric EGT Tesla Model S machines equipped with the latest OMP safety equipment, running on bespoke Pirelli tyres. Rounds will consist of a 20-minute practice session, a 60-minute qualifying heat, a day race (60km) and a dusk race (60km). Fans around the world will be able to stream the entire weekend’s racing and won’t miss any of the action. The Electric Production Car Series will be supported by the Electric GT eKarting Series for the next generation of racing stars and the innovative Virdual® Series which will see fans around the world compete online to win a simulator racing slot for the full season. Gates open to Circuit Pau-Arnos at 09:30 and Day of Light #1 will commence at 10am.